With its sweet, gentle temperament and pretty shimmering coat, the Russian Blue is a striking and very popular feline breed. Although it is best described as mediumsized, it is lithe, lean and extremely agile. Breeder Di Stokes from Raska & Raskirova Cattery describes them as resembling Russian ballet dancers. “They have long, elegant legs and a long, tubular body and tail,” she says. 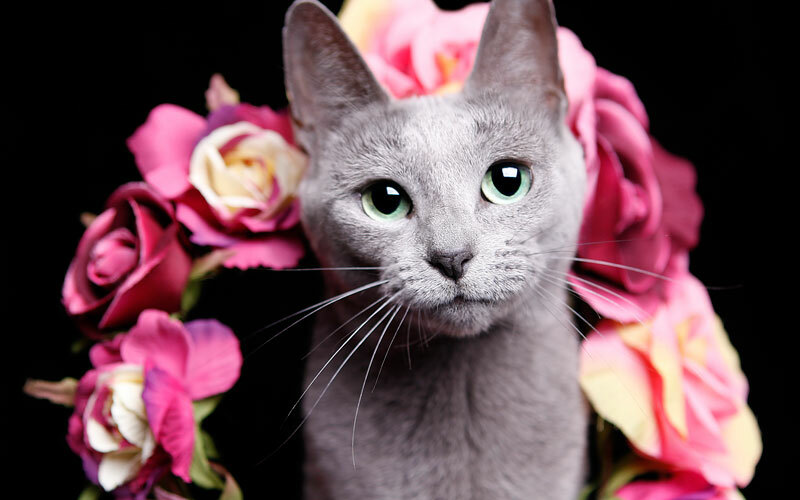 The Russian Blue enjoys lots of playtime and activities that include running and jumping. “They are definitely not couch potatoes like the British variety,” says Di. They also love plenty of cuddles and snuggle time. It’s widely thought the Russian Blue originated in northern Russia. Felines from this breed were originally called Archangel cats or Foreign Blues, but the gene pool was badly depleted after WWII, so to replenish it they were bred with Siamese cats.